(CNN) -- Police in three European countries were looking Sunday for 6-year-old twin girls abducted by their father, who was found dead last week. 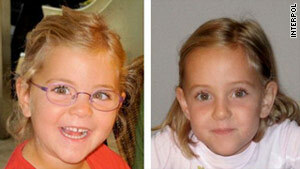 Interpol issued an international Yellow Notice missing persons alert Saturday for Alessia and Livia Schepp. 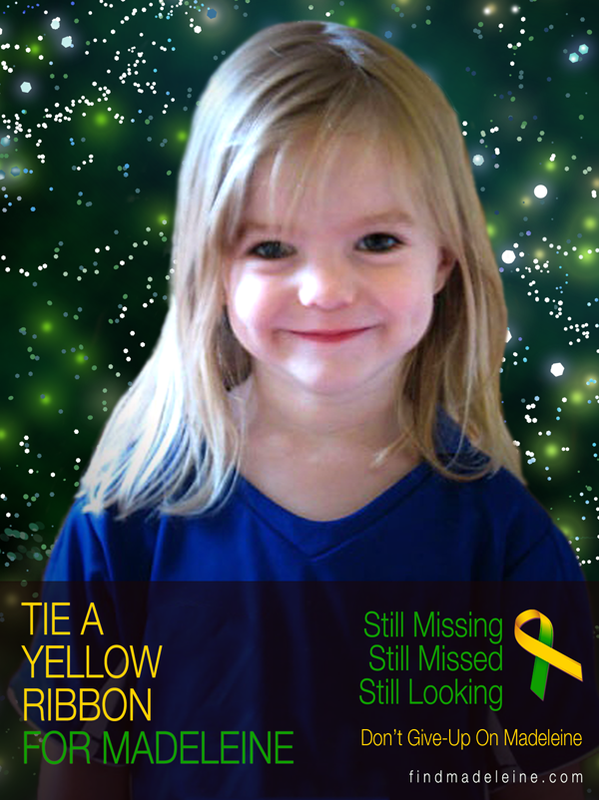 Such notices are distributed to police in Interpol's 188 member countries to help find missing people, especially children. The Schepp sisters were reported missing January 30 after their father, Matthias, took them from their home in St. Sulpice, near Lausanne in western Switzerland, Interpol said. He took the girls following personal problems at home, according to the state police in Vaud, which covers the area of St. Sulpice. This case has been posted on the blogger and I will simply give a brief report from Tarot as to what may have occurred but Tarot is not 100 per cent and I cannot guarantee the results I am given. Please look to other sources for factual information. The first card I have on these girls is the 10 of wands reversed. I have to say that this card is NOT a nice card reversed but Tarot indicates that these girls were alive on 30 January at least that is what Im given. However, that 10 of wands is an action card and often promotes 'evil intentions' from a man often thought to have medium fair/red hair. Often it is not really the hair colour that is important so much as the temperament that comes through and the temperament that comes through on this card is hot tempered and riled up. This card shows a man going towards the city or town where he lives as this is reversed it does show him going OUT of the city and he does have 'bundles' with him so I would imagine that may indicate that the children did in fact go with him initially. The Wands card can indicate that this man wanted to get rid of his burdens. He was found deceased so he certainly did choose to unload them in the worst possible way. However its whether or not he considered the children were a burden and whether he offloaded them somewhere else. It does seem that he has delegated in responsibility here because opposing factors in his life were too strong. There is a sense of clearing the past away and starting a new life in these cards but also a sense of not being able to do it. This card generally gives a Southern DIRECTION but when its reversed it MAY give a North Direction I cannot be absolutely certain which but that is what I have. This man was completely stressed out and unfortunately there are some very heavy deceptive matters in this card. There is a feeling that these children may have been mis treated . They knew their father was lying to them and were not able to control events. They would have noticed behavioural changes in their father sometime before they disappeared. They would have tried to protect themselves. I am feeling tension in the neck and the shoulders. Asking where these children are I have the Knight of Cups. Cups are normally West but the Knight is looking towards the East. I am seeing water around them so it would be somewhere there is a lot of water. This is a card that represents boats lake water river so they may be in Venice or somewhere that water floats around. The only reason they are there is because of the connection to the Moon which is the Mother so its 'because of the mother'. That does,nt mean its her fault, it means that it was the reason. Therefore out of the choices from Interpol I would likely pick ITALY as the location for these girls during these dates February 9 to March 10 - opportunities for travel are on this card as is a younger person who appears to be fair haired. It could be male or female under the age of 40 I would have thought. I dont know if anyone is with them I sort of feel they were 'left'. I feel that if there is a person here they are trying to help the girls find an 'emotional home'. So if someone has picked them up then they should read the news and return them. I am seeing some kind of vessel and water but if there is a male in the picture Im seeing the person as a friend or helper who either arrives or approaches them then next card is a female card which stands for nurturer. There may also be a 'distant cousin' somewhere in the picture. I cannot say whether these girls are in water and found in water or whether what I have suggested applies. So either on water, in water or by the water is what I have and Italy appears to be the country I would suggest. I am not always correct. Please seek other information. When asking when these girls will be found I am given three of Swords. This can indicate within THREE MONTHS or a period that is linked to the number THREE. This is a very upsetting card as it talks about seperations and loneliness and this card shows East Spring and Sunrise. Tarot is not 100 per cent accurate but I hope these children will be found in the time period suggested, I do not think life has treated them very well for the last 10 weeks. I also am not sure whether we will have bad news with these girls or not but time will tell.